Help Us Welcome Jade! Another Marketing Guru Added to the Ranks! 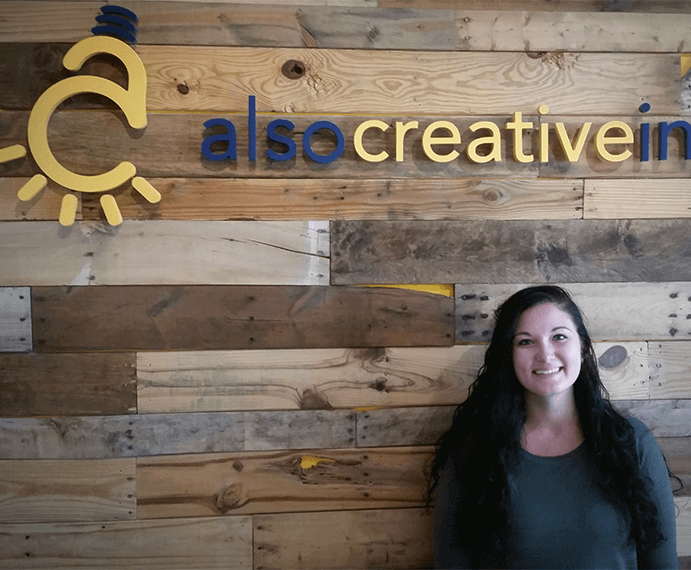 | Also Creative Inc.
We’re thrilled to have another talented, young professional added to the ACI team! Jade is ACI’s newest marketing coordinator, brought on-board to complete our marketing dream team! Her first assignment… make us all embarrasingly rich! Now that it’s just a matter of time until THAT happens, we’ll be able to focus our efforts on cranking out awesome apps for your businesses! Jade likes hunting, fishing, mexican food, thinking about things about herself and country music from the 1990’s. She’s a welcome addition, and we look forward to all the money we’ll make as a result of her hard work!